Farr Yacht Design is recognized as one of the best racing yacht design teams in the world. It has an outstanding record of achievements in well-known races, such as the Volvo Ocean Race (formerly the Whitbread Round the World Race), America’s Cup, Vendée Globe, Sydney Hobart Yacht Race, Barcelona World Race, Transat Jacques Vabre, Copa del Rey and many others. 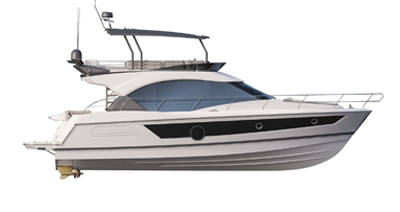 Beneteau has called upon this design office, which designs racing cruisers centred on performance, as well as one-designs, for over 25 years (first boat made by the design office: the First 45F5 in 1989). It most recently designed the plans of the First 35 and First 40. Patrick Shaughnessy is the president of Farr Yacht Design. Born in Annapolis in 1970, he studied architecture and design in Anne Arundel Community College and at the University of Maryland, before joining Farr Yacht Design in 1990. Along with his professional sailing adventures, Patrick travels extensively in order to attend various regattas and boat shows around the globe as a representative of Farr Yacht Design. Participating in high profile events overseas all over the world has allowed him to work closely with owners and crew to hone his skills as a talented and gifted designer. Each of our design team members has a particular area of focus which affords them a broad experience across many project types while focusing on their key role (appendages, engineering, geometric modelling, hull design, sailplan, etc.). The team combines its extensive talents together on each project. With backgrounds in sailing fostered as youths and honed in affiliated professions from drafting, design, boat building and sail making to race rule management, computer science and engineering, the designers at Farr Yacht Design all share a superior and comprehensive understanding of boat design, construction and performance.